Item Size W 90" x D 85.5" x H 32"
This bed boasts with clean modern lines for a stylish look and North American birch framing for added warmth. The bed is designed with two floating panels to bring depth to a room, while keeping the footprint manageable. The base is available with Euro slats or optional platform insert. 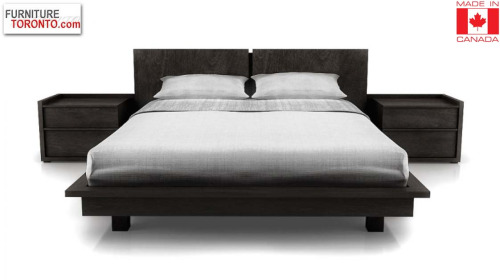 The bed is manufactured in birch veneer and solid birch with multiple stain options.